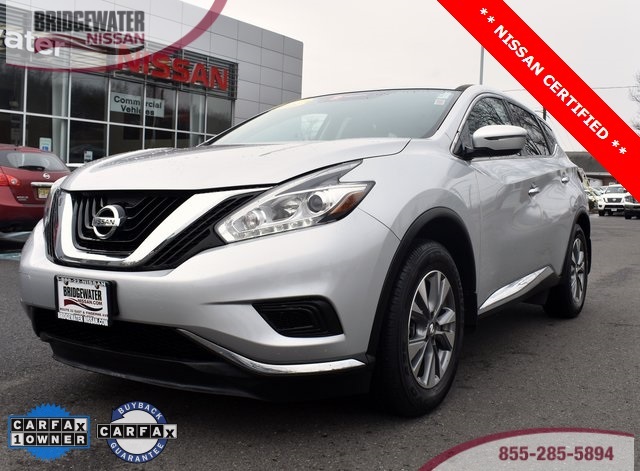 Check out this excellent condition Brilliant Silver 2015 Nissan Murano S AWD CVT with Xtronic 3.5L V6 DOHC * Odometer is 7,398 miles below market average! 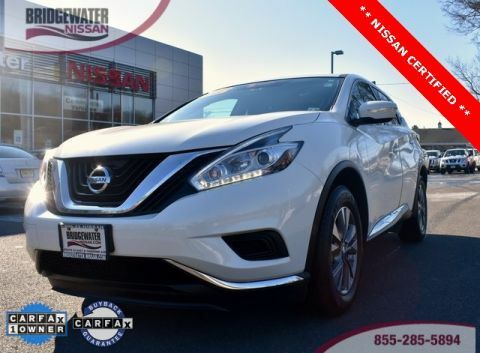 28/21 Highway/City MPG * This terrific Murano comes with backup camera, cloth interior, alloy wheels, bluetooth and bluetooth audio streaming, Nissan intelligent-key with Push Start button. You can save over thousands of dollars, and have better warranty with Nissan Certified Pre-owned. With the CARFAX Buyback Guarantee, this pre-owned vehicle comes with peace of mind, standard. Sure, every Certified Pre-Owned Nissan is rigorously inspected. 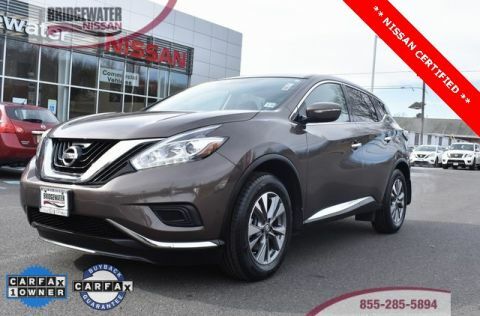 However, a Certified Pre-Owned Nissan Murano from Bridgewater Nissan offers complete peace of mind; 7 years and 100,000 miles limited warranty. ~Unlike our competitors this is a 100% Nissan Certified Vehicle at "No Additional Cost" Ready to drive off our lot with confidence and assurance. 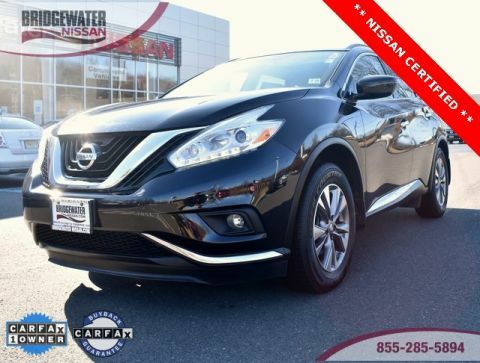 At Bridgewater Nissan, we strive to provide you with the best quality vehicles for the lowest possible price, and this Murano is no exception. Contact us at 908-722-3600. YOU WILL LOVE THE BRIDGEWATER NISSAN EXPERIENCE!